The Sunburn Festival mines international talent in the house and trance music industry every year to bring to Indian soil some of the top DJs and producers from across the world. 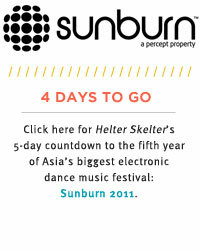 We take a look at the three most hyped international artists scheduled to perform at Sunburn 2011 as well as three lesser-known artists from beyond our borders that you can’t afford to pass up. One of the frontrunners of the Swedish house music scene, Axwell has had a series of highly successful records to his name over the last couple of years. This young producer needs no introduction, thanks to the signature tight production, funky bass lines, and irresistible feel-good vibes his music exudes. Born in the Swedish countryside, he started playing the drums at the age of nine, which he promptly traded in at the age of 13 for a computer when he realised that he could play all the instruments himself. Best known for ‘Burning’ (a collaboration with Robbie Rivera and Suzan Brittan), ‘The Island (Pendulum)’, ‘Feel the Vibe (‘Til The Morning Comes’), ‘Resurrection’, and ‘Heart is King’, he is one-third of Swedish House Mafia along with Steve Angello and Sebastian Ingrosso. This trio descends upon the DJ booth to leave madness in their wake with every performance. Some of their tracks that have gate crashed the charts include ‘One (Your Name)’, ‘Miami 2 Ibiza’, and recently, ‘Save the World’. 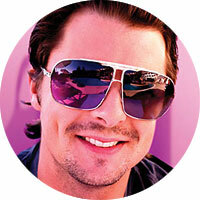 Deemed the mogul of the “sun-kissed summer anthem”, Axwell has also crafted remixes to lend his touch to artists like Usher, Room 5, N*E*R*D, and Soulsearcher. 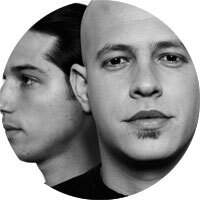 Easily one of the Middle East’s biggest exports, Infected Mushroom is an Israeli psychedelic trance electronic group originally formed in late 1997 by producers Erez Eisen and Amit Duvdevani in Haifa. Based in Los Angeles, the group is known for the dynamic style of their music, which incorporates a number of instruments right from acoustic guitars and choirs to complex synthesized basses and leads, sealed by the constant evolution and changing pace of the music. Pioneering your own sub-genre of electronic music in the industry today is no mean feat, but Infected Mushroom has pulled that off with flair. With an average of 120 live performances a year, fans at their concerts have come to expect the trademark Infected Mushroom amalgamation of analogue instruments and vocals, with an eye-popping multimedia backdrop. Some of their best known tracks include ‘Becoming Insane’, ‘Heavyweight’, ‘Cities of the Future’, ‘Bust a Move’, ‘Classical Mushroom’ and ‘Yanko Pitch’. 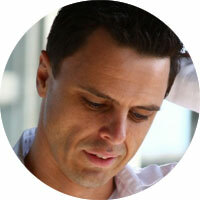 This German trance DJ and producer is the founder of E.D.M. label Coldharbour Recordings and is best-known for his weekly radio show titled Global DJ Broadcast, aired on various online stations. With six compilations and three albums under his belt, he has also released the albums Thoughts Become Things and Thoughts Become Things II under the alias Dakota. With his considerable talent, he has worked with and crafted remixes for artists such as Depeche Mode, Madonna, Jewel, OceanLab, Gabriel & Dresden, Télépopmusik, and Fat Boy Slim. 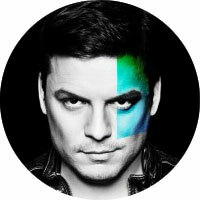 Over the last decade, Markus Schulz has creatively incorporated the genres progressive house and trance into his own unmistakeable signature hybrid sound. Today, he is one of the top DJs in America and is widely regarded as one of the top 10 DJs in the world. 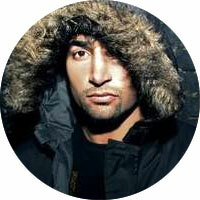 When new mixes are not in progress in the studio, Schulz is constantly involved in international tours and has DJ’ed at some of the largest festivals including Electric Daisy Carnival, Monster Massive, Amsterdam Dance Event, Dance Valley, Love Parade, Trance Energy 2010, and Future Music Festival. Celebrating over 15 years in the international deep house music scene, Tocadisco has 100 international remixes, two albums, and 20 successful worldwide singles under his belt. 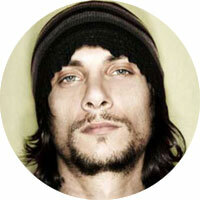 Spanish for turntable, Tocadisco is a German DJ, producer, and multi-instrumentalist. Versatile and far reaching, Toca’s music has become a hit with DJs across the world and has even been featured in several popular European advertisements. His remixes with Steve Aoki, Tiga, Pet Shop Boys, Laidback Luke, Moby, and David Guetta have won him much worldwide acclaim and he has also produced several remixes for different record labels. Benny Benassi’s compilation album titled Cooking for Pump-Kin: Special Menu also features some of his remixes such as ‘Patt (Party All The Time)’, ‘Keep Control’, and ‘Dance Is Dead’. Spanning across the spectrum of dance music genres, Michael Woods has, in his relatively short career, incorporated electronica, trance, and jazz into his music along with producing big room, progressive and tech-house tracks. His constant effort to raise the standard of his music has not gone unnoticed with much acclaim coming his way, and established DJs such as Pete Tong, Underworld, Martin Solveig, Funkagenda, and Moguai are in decided favour of his remixes. With classical training in a variety of instruments, Michael Woods was equipped to harness all these to create his own hybrid of music including the keys, guitar, drums, and trumpet at an early age. 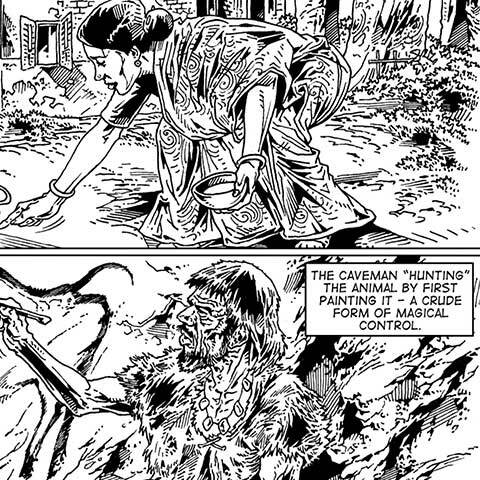 In his free time, he is found dabbling with the London Symphony Orchestra on percussion. Besides his featured tracks on various compilations, his original tracks such as ‘Nitro’, ‘Midnight Run’, ‘Dynamik’, ‘No Access’, and ‘First Aid’ speak for his knack for production and as milestones of his immense success in the industry, coupled with his rapidly expanding fan base. His uncanny ear for quality production and work with many mainstream artists like Kylie Minogue, Estelle, The Ting Tings, The Temper Trap, P Diddy, and Missy Elliot culminated in his nomination for ‘Best Remixer’ at this year’s 2011 I.D.M.A.’s (International Dance Music Awards). Junior Jack, otherwise known as Vito Lucente, has been spinning out house tunes since the early ’90s, manifesting his creativity in his music and the various monikers under which he releases his tracks. His first recorded success under the name of Junior Jack—the single ‘My Feeling’—graced national charts in Europe, the U.S., and Australia, also heralding the first time a Benelux-based producer reached the top of the European dance charts. ‘Thrill Me’, his bass-fuelled single tore up dance floors worldwide and carved out a niche for the DJ in the international underground house music scene. With rapidly expanding success to his name, Vito then teamed up with Nico (Kid Crème), who had previously been spinning hip-hop and studying music theory and classic piano, before being expelled from music college in 1991. The two met at Let’s Go Studios, where Nico spent four years as assistant engineer, and the duo went on to become one of the most popular acts in the scene, earning themselves a place of honour at the Ministry of Sound.